It also raises some important questions about the absence of wider public health and medical engagement. It’s a pointed question that warrants wider consideration, beyond the boundaries of Port Augusta and South Australia. The national transition from coal-fired power to clean forms of energy is essential on health, climate change and economic grounds, but faces numerous political obstacles. This brief review details the health component in the successful closure of the brown coal, air-polluting power stations at Port Augusta in South Australia. October 29 was the fifth anniversary of the start of the community campaign against the power stations. Closure of Playford B occurred in 2013 and the Northern power station, as well as the Leigh Creek mine, closed recently. They had produced 780 MW/h of electricity, historically providing 35 percent of the State’s power. The campaign opened with a community meeting in Port Augusta attended by about 150 citizens, many of whom were workers and their families from the power station. The meeting was organised by CLEANSA. There were three speakers: Mark Ogge from BZE who described the recommended solution – concentrated solar thermal technology, myself (David Shearman from Doctors for the Environment Australia), and a representative of the Conservation Council of South Australia. The health theme was simple, ‘Doctors diagnose illness from pollution at Port Augusta. Doctors Prescribe Solar Thermal Treatment’. Mark Ogge’s presentation to the community was a comprehensive plan for alternative power and jobs. It outlined how coal plants could be transitioned to concentrated solar thermal technology power generation without the loss of jobs and with an increased manufacturing capacity for South Australia. The community then had a vision for the future, supported it, and its worry about jobs never came to the fore. The health of Port Augustans, detailed in publications from the EPA, and air pollution data from the power company, was reassessed by public health physicians among DEA members prior to the launch of the community campaign in 2010. The data are here, including correspondence from government disputing the claims, largely on the grounds of confounding facts such as smoking. In fact, the lung cancer rate was nearly double that compared to other towns and the respiratory illness in children was the highest in the state. This information was presented at the community meeting in October 2011. In retrospect, the most important lesson was to keep health at the centre of the community campaign. Admittedly there were two important allies, the smoke stack and the Mayor, the late Joy Baluch. The smoke stack sat approximately three kilometres from the edge of the town of 15,000 people. The Mayor, “a Solar Warrior”, sat in the centre of town, where the pollution could be smelled, and terrified most visiting ministers from opposing her view. She campaigned incessantly from the Council office till her death in 2013. The DEA team of clinical doctors and medical students delivered the health message, making the 311 kilometre journey from Adelaide to Port Augusta frequently. Key members of the community were briefed: the Council CEO, unions, small business and local community groups. These groups came together as the community driving force named Repower Port Augusta, and progressively ran the successful campaign. DEA sought and obtained support from RACGP, AMA(SA) and AFPHM, which was important to demonstrate medial solidarity to government, but probably had little impact otherwise. Despite medical briefings to state and federal members of parliament, little government interest and commitment was shown until 2016 when belated action occurred to attract concentrated solar thermal technology development. DEA members met with the SA Minister of Health in 2012, just prior to his retirement. Amazingly, despite many attempts, DEA never managed to see the subsequent state Minister for Health to request his support! However, in May 2012, DEA held a very successful medical expert briefing at Parliament House, which highlighted the massive health costs of coal and gas pollution. DEA gave a further presentation to a parliamentary enquiry into concentrated solar thermal technology in 2013. 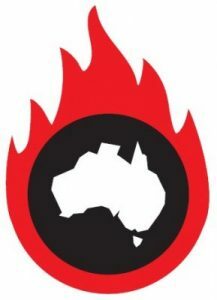 These events illustrate the failure of governments around Australia to consider and plan for a transition away from the use of fossil fuels that is dictated by the urgent need to address both climate change and pollution. DEA is left to ponder how it could have been that a team of clinical doctors using their meagre time off duty was the only medical force to deliver this major public health outcome in this state. Renewable energy is a public health measure. Dr David Shearman, AM PhD FRACP, Hon Secretary Doctors for the Environment Australia, and Emeritus Professor of Medicine, University of Adelaide.